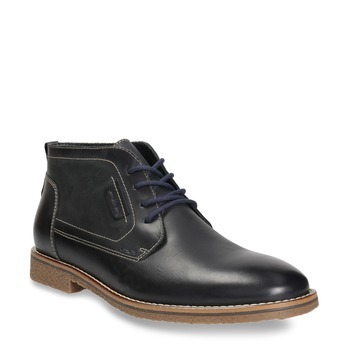 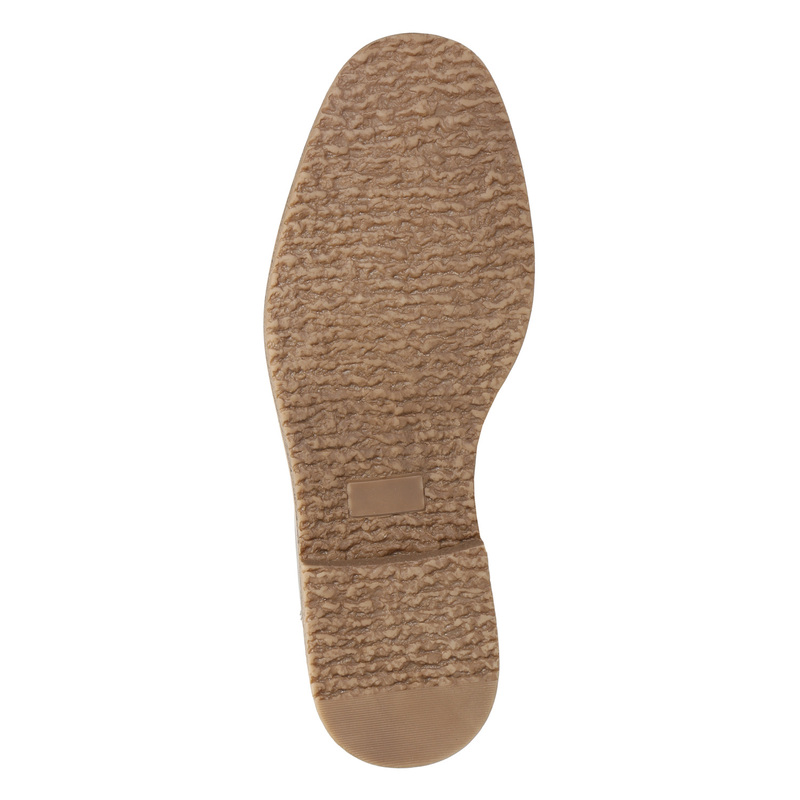 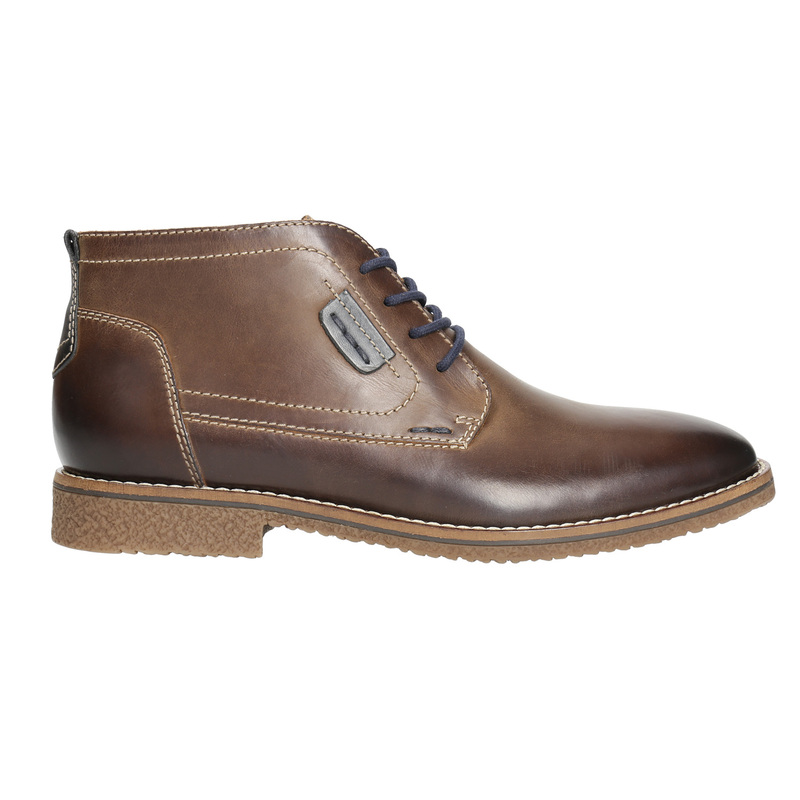 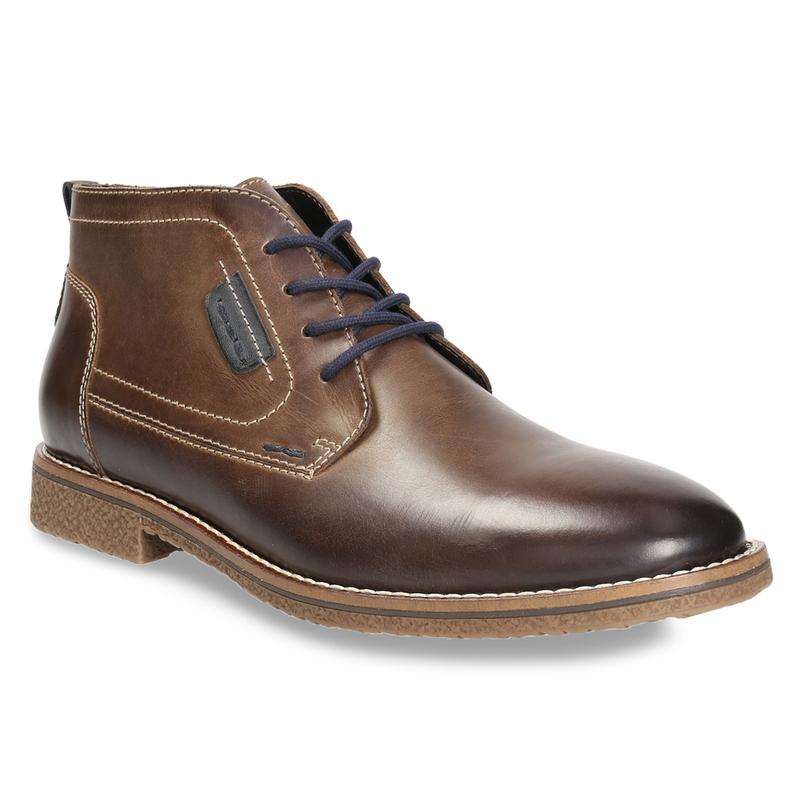 These men’s ankle boots inspired by the Chukka Boots style have a brown leather upper and a striped sole. This is stitched to the upper, making these boots more supple and comfortable. 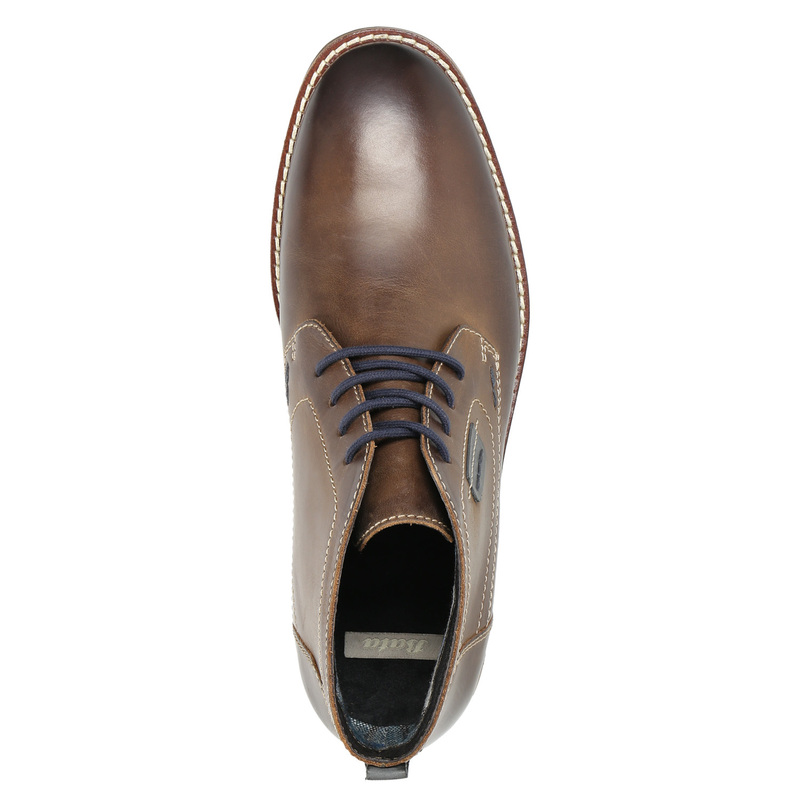 The distinctive stitching and modern Ombré effect are interesting touches. 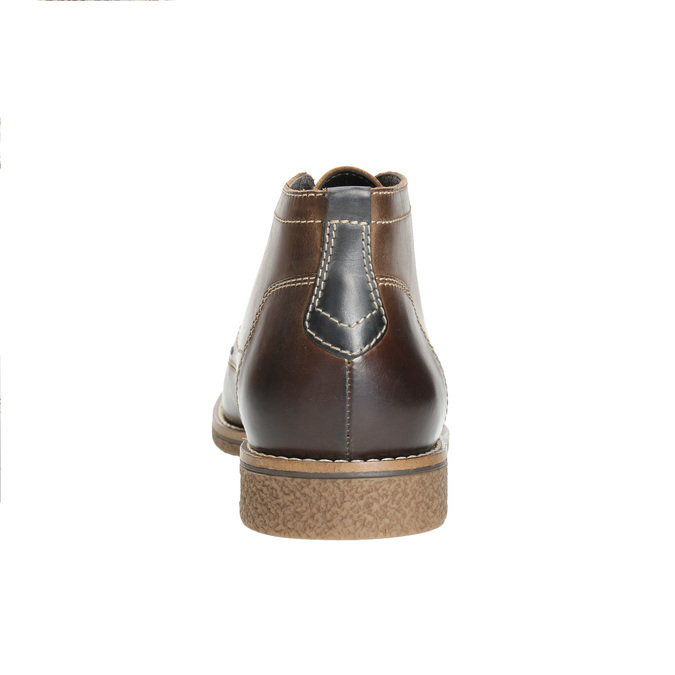 Wear with Chinos and add a sports jacket.